Carrigallen Vocational School: what we did! 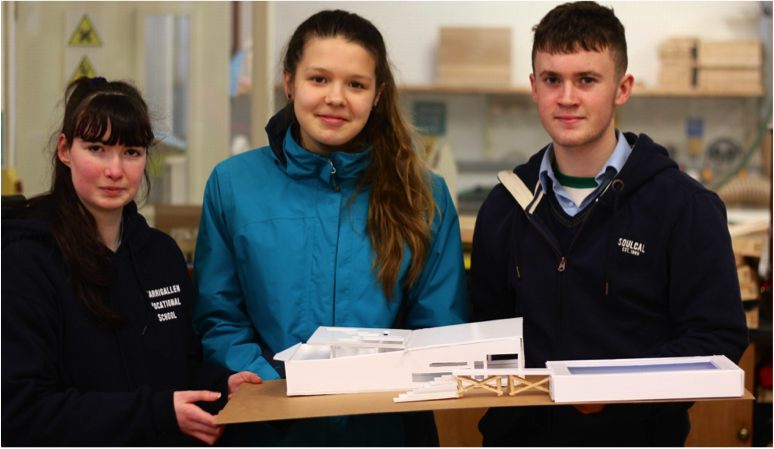 The students of Carrigallen Vocational School began with presentations of their group research of inspirational architecture. From there, we discussed the space around us as well as spaces that they had observed pre-workshop. This set us up to move from the classroom space to the greater school space. The students mapped different areas of the school in small groups and identified critical dimensions, materials, light, textures and user patterns. 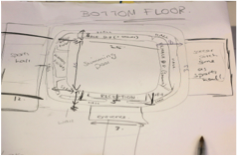 The students design idea was for a new school sports hall, as they currently do not have this facility. 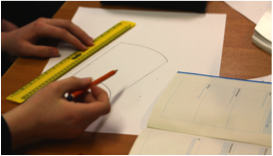 We explored this idea through sketch design on paper and model-making. 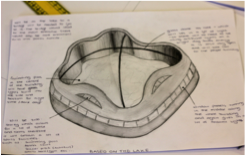 A site location of the adjacent lake was chosen by the students, and this provided an exciting dimension to the design idea. 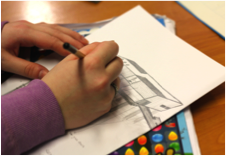 How can architecture enhance our learning space and the community as a whole? This workshop is a great opportunity to explore your school and surrounding area, and make proposals for how it could be improved. 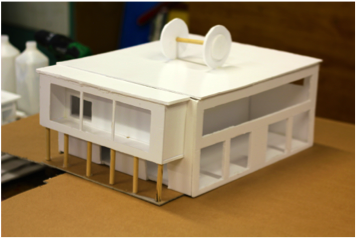 Use model making to develop designs and present the ideas back to the school or community in a public display. 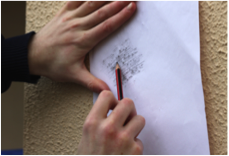 Mapping and Photography: Working in groups, use mapping/photographs/audio recording/ filming/ sketching or any medium you wish to record your findings. Observe dimensions, types of materials, surface treatments, building overhangs, sill heights, steps, ramps, access etc. 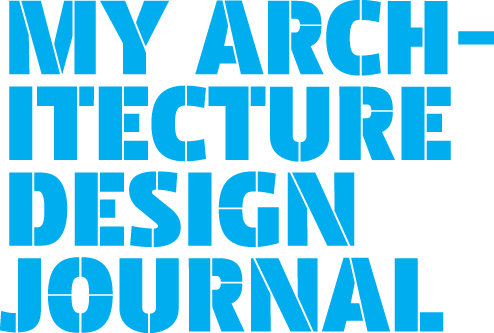 to help understand how a building is planned and designed for a particular function and user. 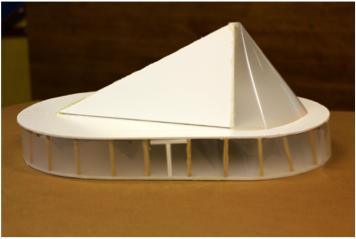 Model making: In a half day workshop, individually, or in groups develop your own designs through hands on model making. “We used cardboard and foam board to make the 3D model. 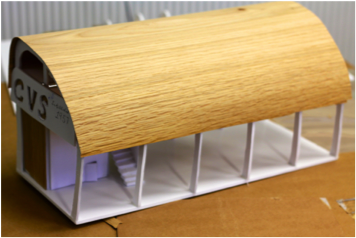 It was interesting to see how architects can make their designs become 3D, which makes them more life-like and also helps their clients to visualise the design by creating a simple model…. Following group research, space studies, and a photographic and measured survey of the school, it was decided that the school functioned very well in terms of circulation,space, and light, but that a sports hall was in much demand by the students. The students chose to locate the proposed building on or beside the lake adjacent to the school. This introduced an element of excitement to an otherwise very functional building design. The brief allowed student to explore public and private space, large open spaces versus small service spaces, and ideas on structure and construction. Locating the project on water called for a discussion on floating structures. See Makoko Floating School for an introduction to theme of water and architecture.